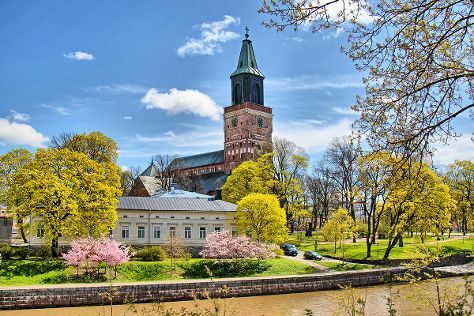 Start off your visit on the 7th (Mon): take a stroll through Naantali Old Town, then have some family-friendly fun at Moomin World, and then take in the spiritual surroundings of Turku Cathedral. For traveler tips, other places to visit, and other tourist information, read our Turku online holiday maker . If you are flying in from India, the closest major airport is Turku Airport. In January in Turku, expect temperatures between -3°C during the day and -9°C at night. Finish your sightseeing early on the 7th (Mon) to allow enough time to travel back home.